Last month, we heard that Huawei might launch a device with triple rear cameras and it was rumored to be the Huawei P11, the successor of P10. 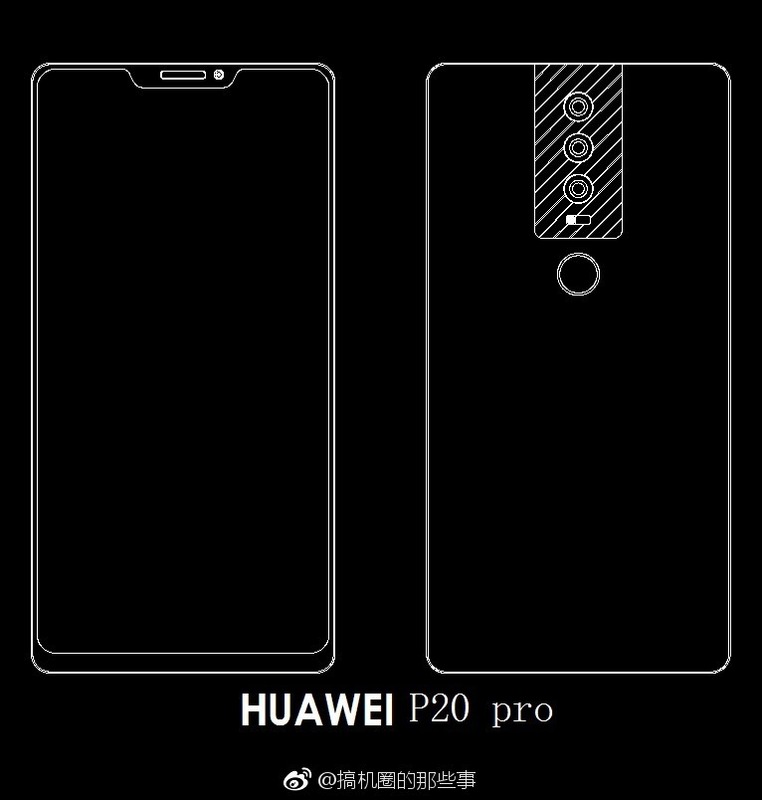 But, looks like the company is going to jump straight to the Huawei P20 from the P10 as some new schematics of the three different variants of the P20 have leaked today via Weibo that reveal triple rear camera setup for all the three variants. Also, two of these variants will arrive with Kirin 970, but one is going to have the Kirin 975 chipset that is still unannounced so these images cannot be 100% trusted. 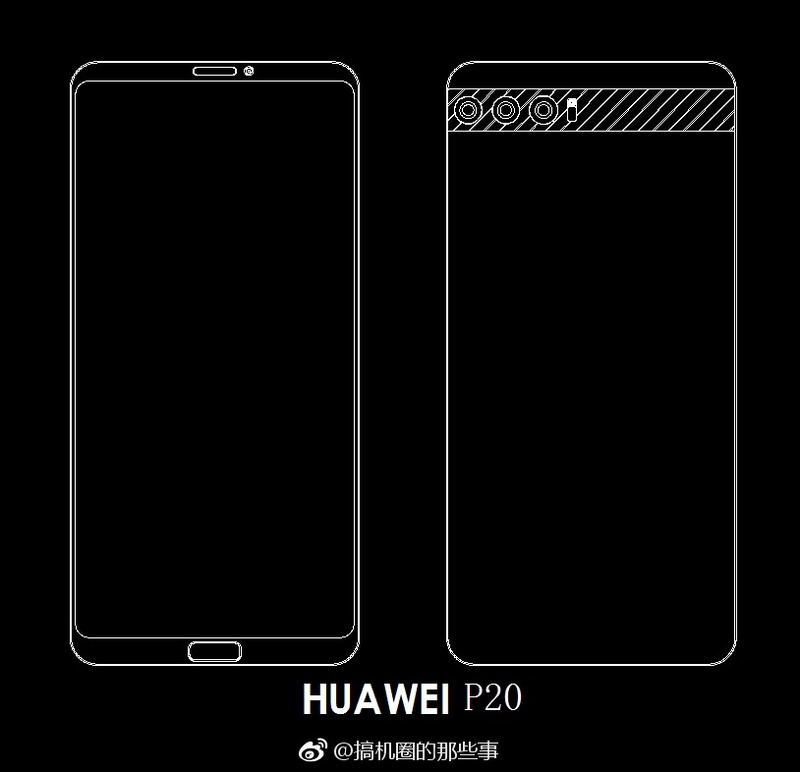 Starting off with the Huawei P20, it will have an 18:9 display on the front with minimal side bezels and also a front-facing fingerprint scanner, which we haven’t seen much on the phones with 18:9 display. On the rear, there are three cameras. Yes! Not one or two but three cameras on the rear with the same strip as on the Mate 10. Kirin 970 chipset will be powering the phone with 6GB RAM and 64GB internal storage. 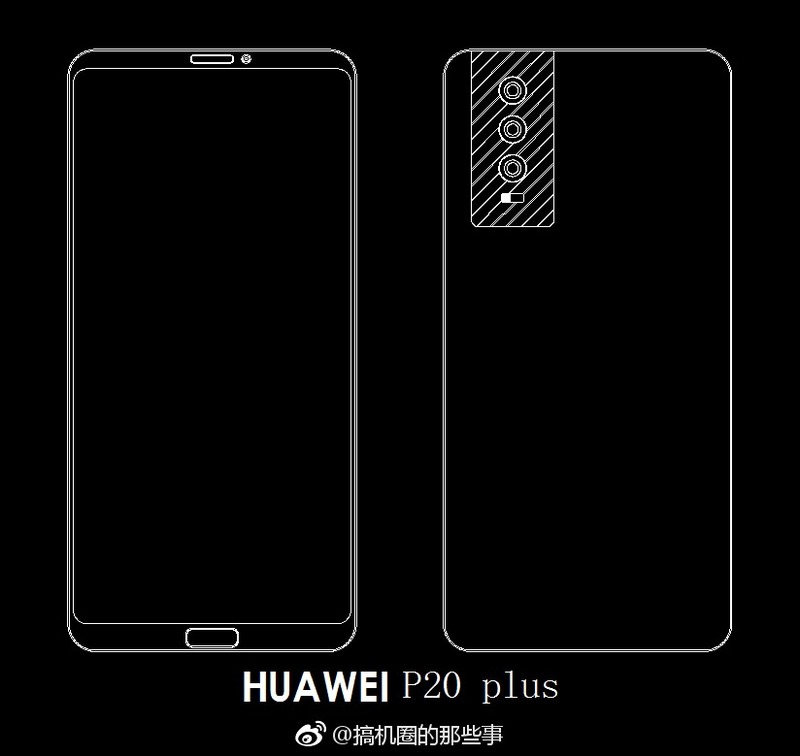 Talking about the Huawei P20 Plus, it isn’t going to be much different than the P20, except for the fact that the rear cameras will be vertically aligned unlike the horizontal triple camera arrangement on the P20. The phone will have the front-facing fingerprint scanner and maybe a bigger screen than P20 (Not revealed by the source, though). There will be 6GB RAM and 128GB internal storage. Last but not the least, we have the most interesting upcoming smartphone from Huawei, the Huawei P20 Pro. It will feature the same notch on the top as on the iPhone X so; there is going to be a bigger aspect ratio than 18:9. There will be rear-facing fingerprint scanner and vertical triple camera alignment. It will be powered by the Kirin 975 processor which is going to be 15% more powerful than 970. There will be 6GB RAM and 128/256GB internal storage. The source is not very reliable so consider this leak with a pinch of salt. Stay Tuned for more details.